You can assign an item to one or more teams or members from the item meta bar. For each assignment, you can set an ETA, Actual Time Spent and Status. 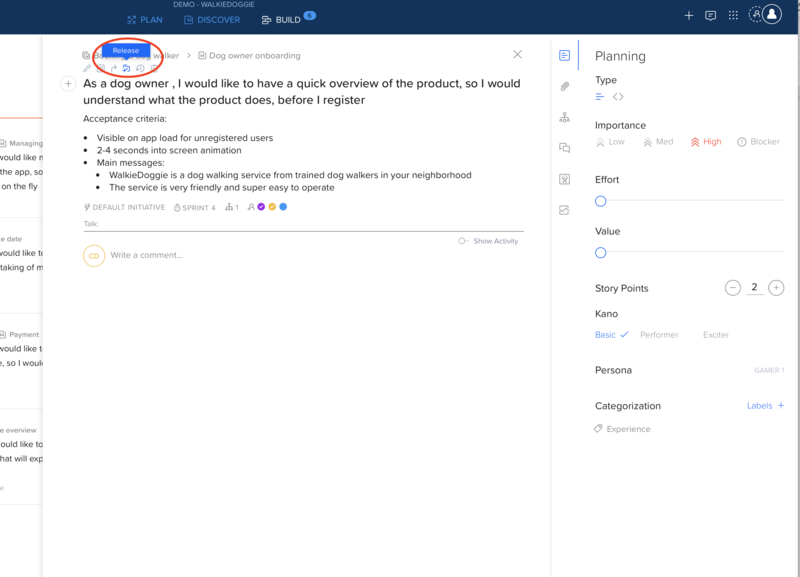 Once an item is assigned to one or more team members, they will be able to see it in their Build workflow columns and an email notification will be sent. You can add as many assignments as you want for an item, with a single selection per team. Inside a team you can reassign items between its members. You can also assign an item to the entire team, and later on reassign it to a specific member. You can set any item as done for a single user / team by moving it to the last column of the workflow. An item gets the “Completed” status once all the teams / members assigned to it are marking it as done. When moving an item to Done, Craft will ask you for the Done reason with “Completed” as the default choice, other options include: “Cannot Reproduce”, “Cannot Complete”, “Duplicated” and “Discarded”. Under these options you can also enter the actual time spent on the task. 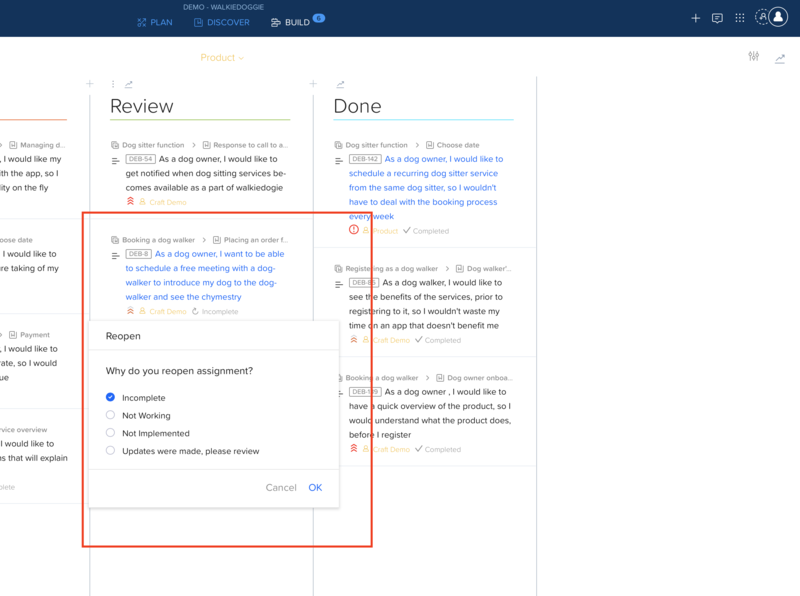 When moving an item from the last workflow column to any other column, the item will be considered as reopened. Craft will ask you for the reopen reason with “Incomplete” as the default choice, other options include: “Not Working”, “Not Implemented” “Updated were made, please review”. Releasing an item will move all its assignments to Done -> Completed status and mark is as released. It will no longer appear in any search unless you set the filter modifier “ItemStatus” to show released items in a search query. To see a quick overview of how many items are completed, value, effort and other metrics, click on the stats icon per column or for the entire workflow.